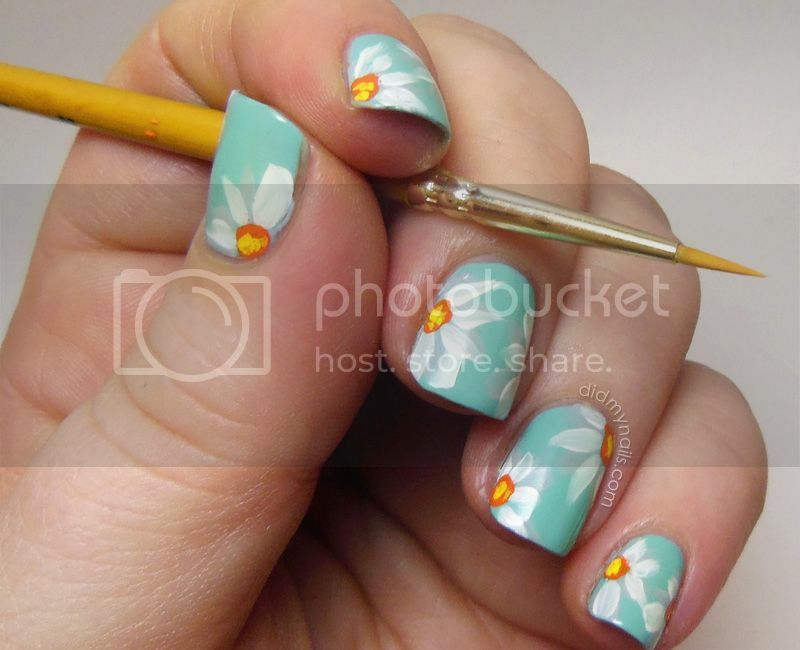 Today I’m posting a first for me, flower nail art using acrylic paints! I’ve been looking forward to doing this since my poinsettia nails at Christmas, and I’m really excited about learning something new. I have a habit of trying to start too big, of wanting to run before I can walk and then giving up in frustration when it doesn’t magically work, so this time I started relatively simply, with some big, cheerful daisies. Starting with Skinfood BL003 as a base, I grabbed my new acrylic paints, mixed up the colours I wanted, and finally dove in. 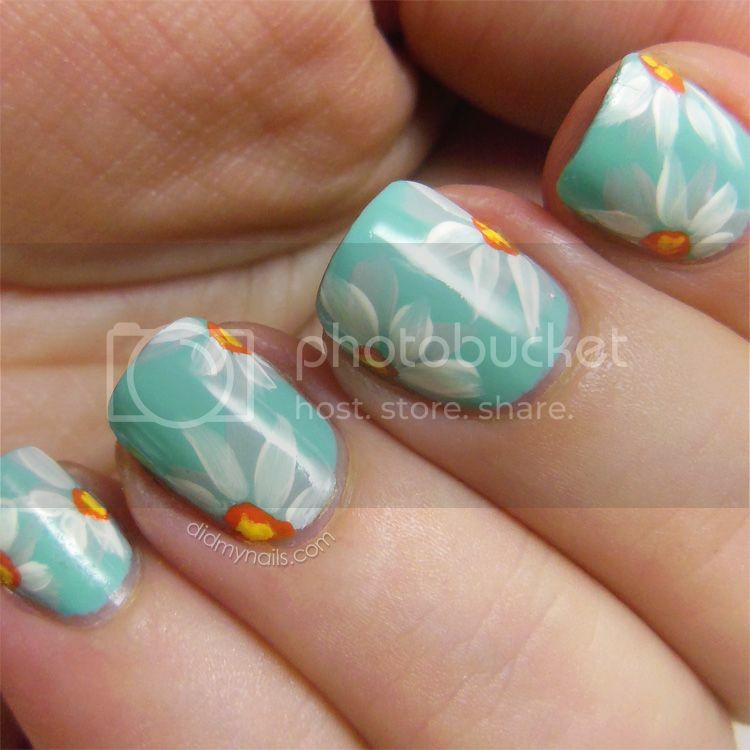 I did some pale grey petals first, which faded into the soft, teal background a little bit, but I think they really help the white of the daisies stand out. Then a little dotting of some orange and yellow to make the centers, and it was safe to breathe again. I know we’re always our own toughest critics, so I’m all about seeing how much room I still have for improvement, but these were so much fun to do! Of course I have to give a huge shout-out to Robin Moses. This isn’t specifically one of her designs, but it’s based on her tutorials. I watched a ton of her videos, trying to wrap my head around the techniques and basically getting my courage up. It was still all kinds of intimidating, trying something brand new, but her simple, clear instructions convinced me that I could do it. Thanks, Robin!